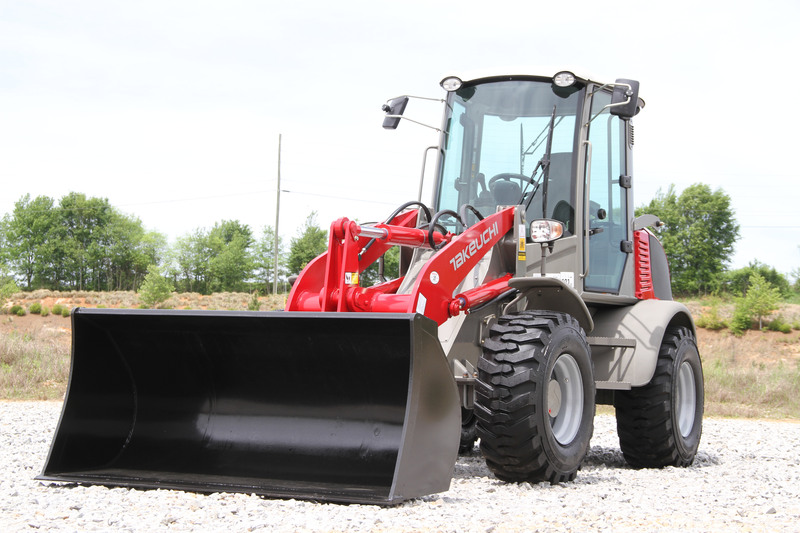 Takeuchi introduced two compact wheel loaders to its existing lineup: the TW65 Series 2 and TW80 Series 2. Both machines are equipped with EPA Final Tier 4 engines. Equipped with water-cooled Deutz engines, the new wheel loaders have a standard travel speed of up to 12.4 mph. The machines feature an improved cab with air conditioning and heat, plus an adjustable armrest and controller position. According to the company, the compact design of the loaders allows them to easily maneuver in tight spaces with minimal damage to lawns, pavement and other sensitive surface areas. With an operating weight of 11,354 pounds, the TW65 Series 2 has a tipping load of 9,171 pounds and a bucket breakout force of 11,600 pounds. The TW80 Series 2 has an operating weight of 12,700 pounds, along with a rated operating capacity of 4,445 pounds, a tipping load of 12,700 pounds and a bucket breakout force of 13,960 pounds.